Classic meets modern in the OKC Robeson Drop Point Hunting Knife. The laminated hardwood handle has an ergonomic grip for a comfortable feel. 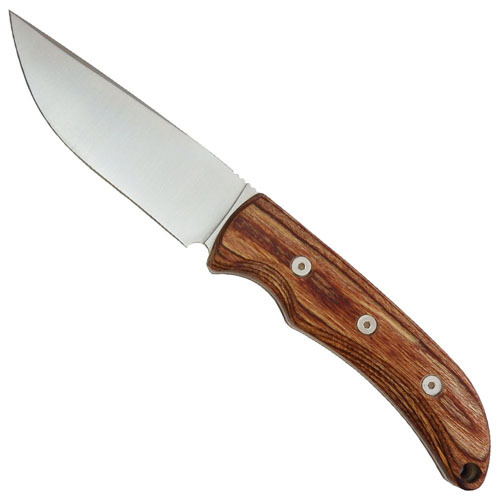 Its drop point blade style with D2 tool steel makes this is a reliable all-purpose outdoor knife. 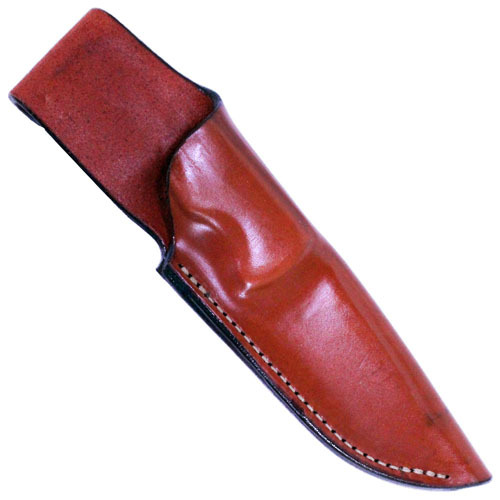 Slip the knife into its leather sheath or hang it on a rope through its lanyard hole.